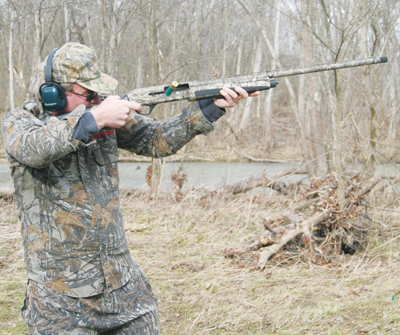 Remington touts the Versa Max as the most versatile 12-gauge autoloader ever, capable of cycling the mildest target load or the most potent magnum with no adjustments and less felt recoil than some 20-gauge guns. 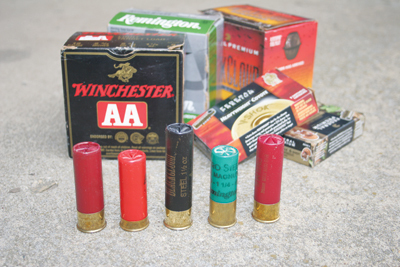 The self-regulating gas system at the heart of the new gun is ingeniously simple, based on the fact that shotshell pressure tends to correlate with shotshell length. The gas ports are located in the chamber where longer, more powerful shells cover and block some, reducing the amount of gas going to the piston that drives the automatic feed and ejection. Shorter shells leave more ports exposed so that even though less gas pressure is produced by the shell, about the same amount goes to the piston. 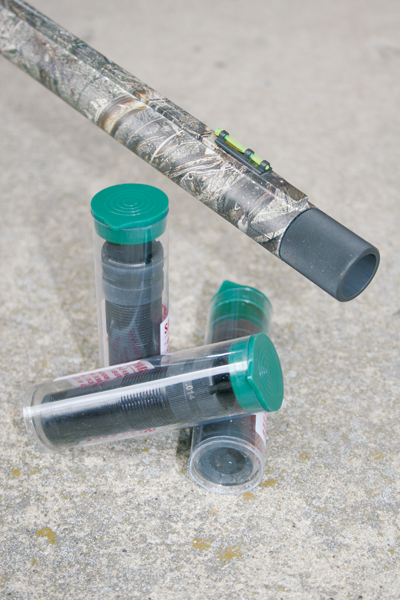 To see how well this works, we filled the tube and chamber with a mix of everything from 2-3/4-inch AA target loads to 3-1/2-inch high-speed steel waterfowl loads. No matter the sequence, the Versa Max cycled all without a hitch. To take advantage of that versatility, the Versa Max stock is designed so the shooter can make adjustments to “tweak” the fit for different hunting and target shooting situations. In addition to the SuperCell™ recoil pad, the stock comes with spacers that can increase the length of pull up to 1 inch. Drop and cast may be adjusted with nothing more than a screwdriver and Allen wrench. The cheek comb insert also may be adjusted for better eye alignment with different stock configurations and sighting systems.